Based in Appleby, Cumbria, Westmorland Electrical Ltd have extensive experience in installing, designing and commissioning domestic electrical installations, whether this involves modification of an existing installation or designing and fitting from new. Our qualified electricians undertake work which complies with the latest electrical safety regulations. Electrical installation to new-build housing and extensions. Inspection and testing of existing wiring. Garden power and lighting installations. New lighting design / LED / floodlighting. All Domestic heating controls, Air source heat pump wiring and under floor systems. 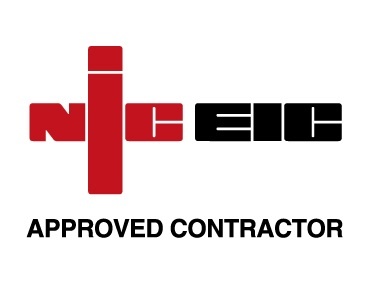 Please remember that Building Regulations (Part P) state that nearly all new domestic electrical work now has to be certified by a registered company. Making changes to the electrical installation in your own home is an important issue and should not be attempted without full knowledge of the regulations. Shown below is a selection of our contracts.